When it comes to home theater setups, there is always an ongoing debate over which is the best option: DIY or a professional installation. For tech savvy clients that just want a few small upgrades to their media room, a DIY approach is ideal. If what you’re after is an experience that rivals the one you get in a commercial theater, then a professional installation is the way to go. In this blog, we focus on the ways a professional installation can optimize your surround sound system. SEE MORE: Which Home Theater System is the Right Fit for You? One of the most common issues with home theater setups is relying on poor quality speakers. It’s a simple problem, but for many clients it doesn't have a particularly easy solution. With specs that are only familiar to those that subscribe to AV magazines, it’s hard for to figure out which to buy. Expert technicians can be a big help here. For one, they’re familiar with the top audio manufacturers and know what to look for in a high-quality home theater speaker. They’ll make sure the speakers have enough power to fill the room without overwhelming it. They can also recommend ones with the latest Dolby Atmos technology –a mixing technique that lets sound move freely throughout the room for more realistic audio. Once you have the right speakers, it’s time to calibrate them to the space. Most high-end speakers include room correction technology which automatically tunes the speakers to the room dimensions. You also may want to adjust your bass settings depending on your family's preferences. Do you want a deep bass that shakes the room during big explosions or would you rather have something more subtle? Your AV technician can help you figure out the ideal settings. To get the best sound possible, you need to get a high-quality signal to your speakers. Your AV technician will make sure you're using media servers, home theater receivers and Blu-ray players that are Dolby Atmos compatible. With a professional installation, you can ensure all equipment is properly linked with the right cables so the entire signal makes it clearly from your source to your speaker. Think of your home theater system as a puzzle. From your speakers to your seating, each component has its ideal place within the room. You should start by figuring out where you want your seats to go. They should be centrally located, if not you’ll hear distorted sound as it bounces off the walls. Once you’ve chosen where to place your seats, it’s time to bring in your speakers. This is where many DIY installations go wrong. Many users believe a few speakers in the back and a few in front will do the job. There are very specific listening angles you need to figure out when setting up your surround sound. Along with finding the right angles, speakers need to be placed equidistant to the viewer to get even sound throughout the room. 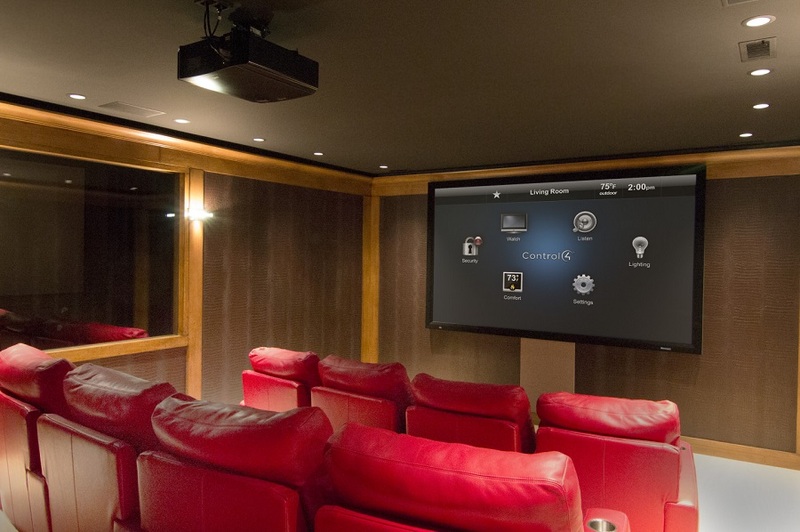 Your home theater setup isn’t just about installing your new equipment and calling it a day. Your AV technician will also go through the room you’ve chosen for your theater –or help you find the best one if you don’t have one in mind---to find ways to optimize your sound quality. Most of the time, this means adding some rugs or drapes to keep waves from reverberating throughout the room. In some cases, it may be necessary to add acoustic panels that help absorb the sound. Get every little detail out of your favorite movie soundtrack with a professional installation from Lelch AV. Contact us to set up a consultation and learn more about our home theater services.